If you have ever doubted the miraculous power of God, prepare to be astonished. Here, real people share true stories of modern-day miracles – moments of divine intervention when the hand of God was briefly and beautifully revealed. 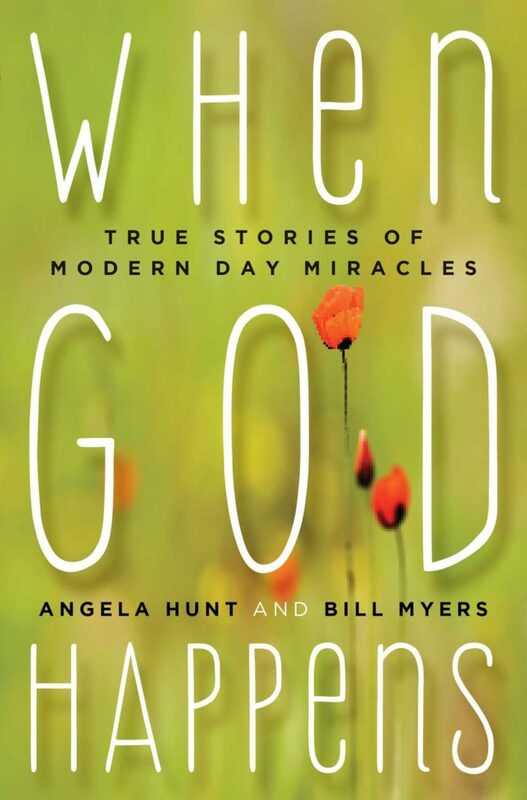 Edited by bestselling authors Angela Hunt and Bill Myers, the eight stories in When God Happens include first-hand accounts of medical healing, angelic visitation, and demonic possession. Bill Myers is a bestselling author and an award-winning producer whose work has won over eighty national and international awards, including the C.S. Lewis Honor Award. His work includes McGee and Me!, The Incredible Worlds of Wally McDoogle, and Eli. He is the managing partner of Amaris Media International. I firmly believe that God is alive, and He cares just as much about us, His children, in these days as He did of those in the time of the bible. I always find it interesting reading the account of others and how they see the hand of God in their life. The more we seek to exercise faith, and show our love to God and our fellow men, the more I think we’ll be able to see how God touches our lives in sometimes the most simple of ways. While most of these stories are quite grand in their telling, I believe we can see and feel God’s presence and those of angels in our day to day activities when we seek to see it.